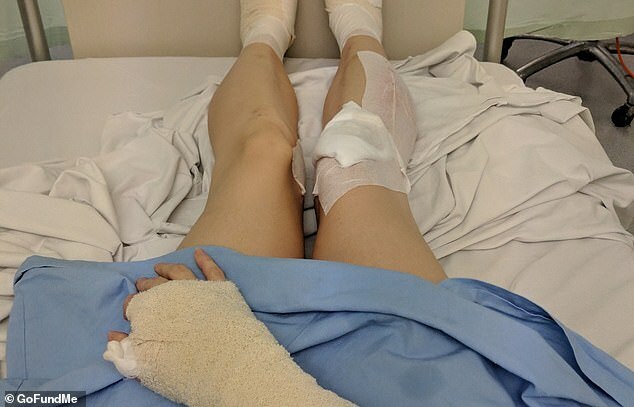 A woman has suffered horrific injuries after the skin on her feet, legs and arms was ripped off during a Gumtree sale that went horribly wrong. 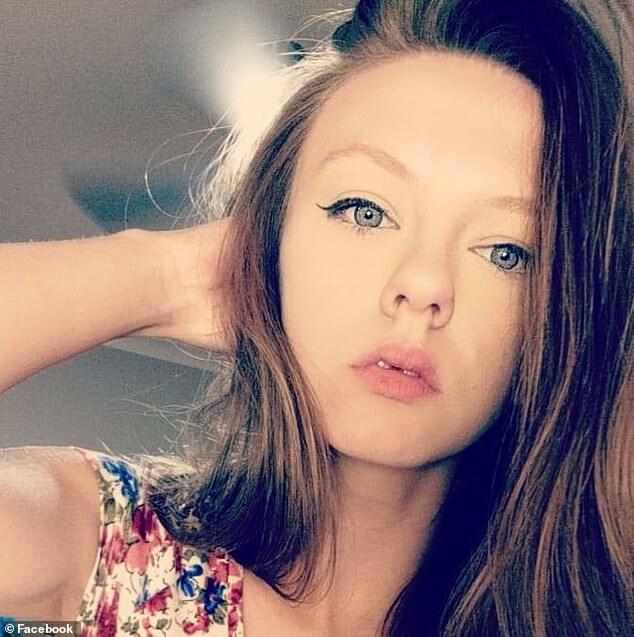 Alex, 22, fell victim to two teenage scammers who attempted to rob her after she posted a Gucci belt for sale online. The thieves arrived at her house in Coolbellup, a suburb of Perth in WA, at 7.30pm on Saturday night, but had no intention of giving Ms Elliot the $290 she asked for. Alex let the scammers into her house, but a neighbour’s security cameras captured the pair fleeing the property with the Gucci belt in hand 10 minutes later, Perth Now reported. 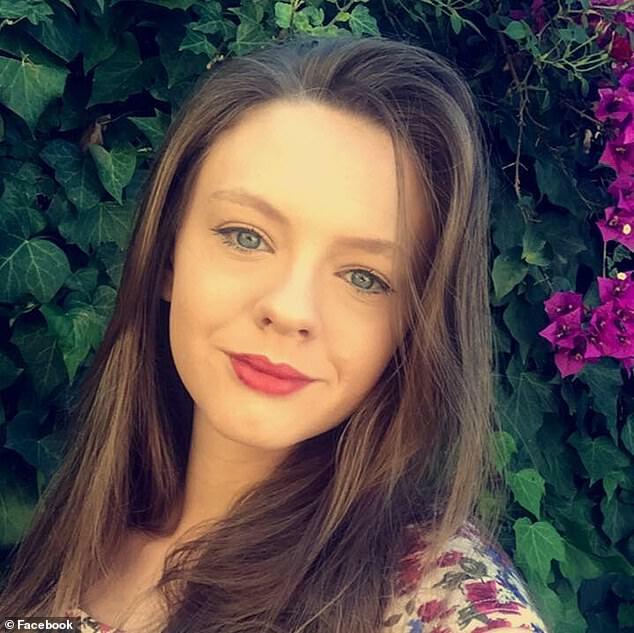 One of the thieves was chased into a nearby park by her boyfriend David. According to police, the boy was just 15-years-old. The other thief jumped into the getaway car as Alex grabbed onto the vehicle in an attempt to stop him driving away with the belt. However, the young man continued to drive, catching Alex’s feet underneath. He continued to drive for an excruciating 250m with Alex hanging from the side of the car. In video footage, she can be seen clinging for dear life as the driver tries to shake her off by swerving and mounting kerbs. Her feet were shredded by the gravel and she suffered severe wounds on her legs and arms. She was hospitalised for two days following the ordeal. ‘I heard a bang and her screaming and I knew then something bad had happened,’ witness Tianna told Perth Now. Authorities are now investigating whether the incidents are linked. The getaway driver remains at large and police are warning Gumtree users to meet buyers in public places and not to give out private addresses. She added the ordeal has left her with an extra ambulance bill to pay.